Oh, where to start. This is an egregiously awful attempt to prove the entire scientific world is wrong about everything that disagrees with the Bible. Evidence is presented dishonestly and the only references in the entire book are specific bible verses and photography credits. There's nothing remotely scientific about the approach taken here, it is sloppy thinking applied to geology and chemistry with the goal of somehow reconciling science and the Bible.Which brings us to the first egregious lie: the idea that science and scientists are out to get believers or the bible or God. The assertion is made several times that it is scientific findings about the age of the earth that are the cause of people turning atheist and falling away from religion. Not only do they present any evidence for this, it is highly arguable. Perhaps it has happened to few, but there are many, many christians who find a way to reconcile being a scientist with their religious beliefs. In fact, many of the scientists I know personally who work for the government, universities, etc. do just that! They are able to do it because they understand that the fields of religion and science are not at war. They are entirely separate endeavors and segments of the human experience. Religion is based on faith in things that can never be proven. Science is about making sense of the world using only logic and evidence. By the nature of BOTH, one cannot be used to "disprove" one or the other. Which means scientists who try to use scientific evidence to disprove an unknowable are just as foolish as creationists who use the bible to try and "correct" science (bonus point: At the very end of the book they admonish scientists to adopt "correct thinking." Scientists already have an authority figure to defer to in matters of "correctness." His name is math.). So the book from the start seems like the work of paranoid lunatics, out to defend themselves from a vicious scientific community . . . that largely doesn't know they exist, because these guys never publish anything in scientific journals. In truth, while I also know scientists who are hostile to the idea of religion for their own personal reasons, it doesn't affect their science. Science is purely about the scientific method, and proving that which can be proven. scientists, scientific institutions and scientific research CAN be affected by politics and standard human drama (as it is practiced by humans), but it has a strong distaste for dishonesty and agenda-setting. In fact, those things are taboo. By agenda-setting, I mean assuming any theories must be true before you've even started collecting evidence. So when these authors proceed from the get-go that anything that disagrees with the bible must be false, they've already left the field of science, which is why scientists don't respect them. You can't manipulate facts to fit a pre-determined conclusion and call it science. That's not what science is. Which makes this whole book a dishonest exercise from the beginning.Their second egregious lie is the assertion that geologists reject the notion of catastrophic causes of geological features. Geologists understand the world was both long-term and catastrophic short-term processes and do not argue that. The assertion made in this book that geologists only believe in long-term processes for geologic formation is dishonest and false.The third egregious lie is that water cutting through unsettled ash and debris is exactly the same as water cutting through limestone. They basically argue that a small canyon cut by rapid water and mudflows near St. Helens means that the Grand Canyon must have (or at least could have) been cut by a world-wide flood. They go on to say that the layers in the grand canyon are all the type that can be created by water or a fast mudflow, neglecting to mention (or perhaps unaware, as they are not good scientists, or indeed, scientists at all) that there are rock layers mixed in that could only have been formed by dry, and desert-like conditions which kind of negates their whole argument. Essentially that shows that the layers they claim were formed rapidly MUST have stopped for a few centuries to build a sandy layer, then resumed the flooding (because the layers above the sandy layers must have been formed by catastrophe as well).The fourth egregious lie, is that they have any evidence against radioactive argon dating. They took one sample, which was a mixture of all different types of rocks, sent it to one lab, and got results that were all over the map in terms of age. They claim that this casts this type of rock dating into doubt. What is really casts doubt on is the quality of their methodology. The explanation is complicated, but argon dating does not work for very young samples, and Mt. St. Helens debris is obviously very young, certainly too young to have created any measurable amount of argon to use for the dating technique. Furthermore, it's highly likely that there were older bits in with the sample that were in fact formed much earlier, and simply expelled by the volcano. Third, they don't even seem to consider argon contamination in the lab they had the test at. Which is why actual scientists tend to take more than one sample, and test it more than one time. So they sent one sample of old and new rock (in other words: a bad sample) to one lab, got confusing results and claim this casts doubt on the entire dating method! I am not convinced.The end of the book is a particularly heavy handed attempt at proselytizing. First, and unforgivably, they use the example of Harry Truman (the 80-year old man who refused to leave his home at spirt lake and subsequently died in the eruption) as an example of the type of person that deserves to die. Because, you see, God has given us warnings and if we don't listen we deserve to die as much as Harry did. Harry made his choice, but the lack of compassion and respect for the dead is staggering. I think Harry was unwise as well, but it seems somewhat classless to use him as a effigy for sinners everywhere. He's even pictured and it's just now occurred to me that it's with a beer in hand as if to say "what a sinner!" Sad. Their spiel, with multiple logical fallacies, attacks on modern culture as demanding God's immediate judgement, ends with an appeal for everyone to adopt "correct thinking" , i.e. don't think in ways that could possibly contradict the bible ever. And that goes double for you devil-worshipping scientists!Worst of all, this is the most spineless, passive-aggressive "argument" for anything I've ever read. Constant references are made to "some geologists" or "some say" without specific reverence or evidence that ANYONE is saying the things they claim they're saying. Furthermore, they end a lot of their half-assed arguments with phrases like "We just don't know if we can trust scientists anymore." rather than, you know, compiling specific evidence and publishing it it in a peer-reviewed journal where scientists could agree or disagree. They're preaching to the choir, while acting like brave truth-tellers (there is not much that is too brave about preaching to the choir). The sad part of it all is, if they had compelling evidence for a young earth, scientists would love it! Especially if other scientists could repeat the experiment and get the same results and come to the same conclusions. Scientists are totally willing to entertain notions that run contrary to current thinking on any topic! It's how science grows! Scientists get famous by finding compelling evidence that contradicts previous thinking on any topic! The catch is, you have to have compelling evidence, and these guys don't have it.On the plus side, the pictures in this book are VERY nice. Gives evidence for a young Universe. Several statistics were repeated way too often. Good overall, but it would have benefited from an editor sorting through the repetition. 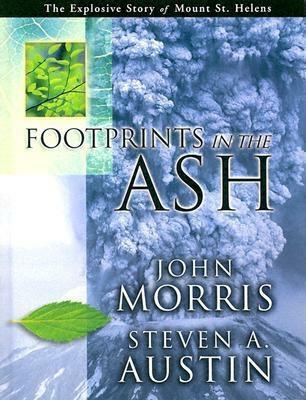 John D. Morris - Librarian Note: There is more than one author with this name in the Goodreads database.John D. Morris is an American young earth creationist and the son of the "father of creation science", Henry M. Morris. He received a Doctorate in Geological Engineering from the University of Oklahoma in 1980 and briefly served on the university's faculty. In 1984, he joined the Institute for Creation Research (ICR); after his father's death in 1990, John Morris became the president of ICR.